12. HOW TO ADD PAYMENT METHODS ON YOUR osCOMMERCE TEMPLATE ? 1. In this tutorial we'll show you how to add payment methods on your osCommerce Website. 2. Let's check out some product. Click Add to Cart. 3. You'll be redirected to your Shopping Cart. Click Checkout. 4. Users should be registered on your website to perform checkout. 5. Login with your username and password. If you don't have one Sign Up. 6. You can leave 'Add Comments' field blank and click Continue straightaway. 7. There will be only one payment method - Cash on Delivery. 8. We'll add 2 payment methods in this tutorial. For example PayPal and 2Checkout. 10. Login with your username and password. 11. Find Modules in the left navigation. Click Payment. 12. There are our payment methods. You'll see that there is our Cash on Delivery. 13. To add new payment method click Install Module. 14. Find PayPal Express Checkout and click it. 15. Now click Install Module. 16. It's essential to edit it. You need to enter your paypal account settings. Click Edit. 17. 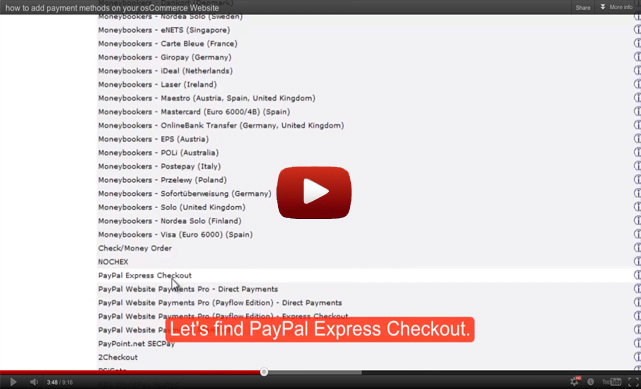 To enable PayPal Express Checkout, select True. 18. Enter your email address that you've used to registre on PayPal. 19. You can leave all other fields Blank and click Save. 20. Now let's add 2Checkout. Repeat the previous steps, just select '2Checkout' instead of 'PayPal Express Checkout' and click Install Module. 21. 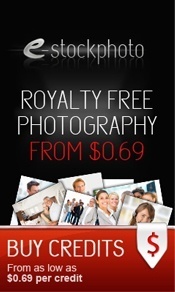 Edit is also essential to this payment method. In fact all of them need to be edit after they are added. 22. Enable 2Checkout by selecting True. 23. Enter your 7-digit Account ID given by 2Checkout. 24. Select Production in Transaction Mode. 25. If you have Secret Word, enter it. Anyways this field is optional. 26. When you're done click Save. 27. Now let's see if this really works. Go to your website's main page. 29. Click Checkout, then click Continue. 30. You'll see that 2 payment methods added. 2Checkout and PayPal. 31. Selecting PayPal and clicking Continue will redirect you to the website of PayPal where you can perform payment. 32. Clients can login with their PayPal account's and perform payment online. 34. Select 2Checkout and click Continue.